Do you believe in love at first sight? And do you believe in loves at first sight? Yes, I'm talking about multiple loves, that might not have a lot to do with a the romantic kind of love, but other forms of this wonderful feeling. I believe we can fall in love with many different things. 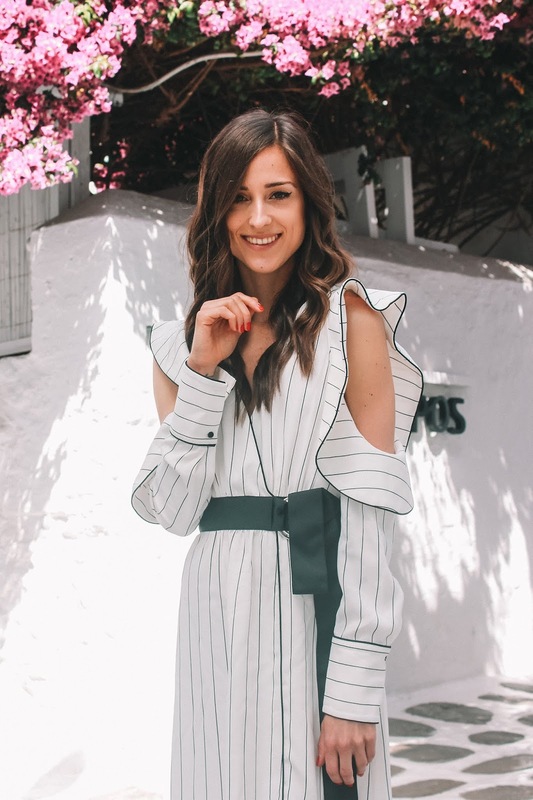 A person, a place, a scent and even with a beautiful dress, which is exactly what happened to me during my last trip to Mykonos. The city itself stole my heart from the moment I stepped into this beautiful maze of white streets, charming little stores and adorable restaurants. And just like I fell in love with Mykonos, I also fell in love with the beautiful dress I was wearing. Made by one of the most inspiring brands Self-Portrait I got it via one of my favorite online stores, LuisaViaRoma, which made the whole experience even more special and memorable, as it is not every day that you get the chance to wonder such magical place in even more magical dress, right?